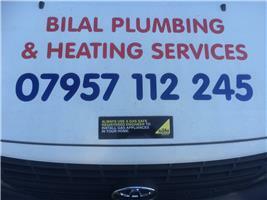 Bilal Plumbing & Heating Services, Domestic, Commercial, Catering & LPG Services - Central Heating Engineer, Plumber based in Woking, Surrey. I have been working within the plumbing and heating industry for over 20 years. Power Flushing - bring those fuel bills down!! Power showers including digital showers! I design install repair all kinds of heating hot water systems.